This is goat’s cheese perfection! With it’s distinctive ash-coating and its pure white, fondant-like creamy paste Selles sur Cher looks like nothing else and the taste is quite unexpected. 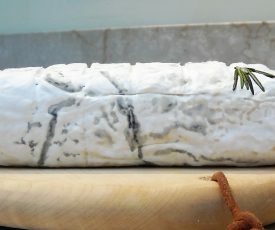 And try it with a crisp Sauvignon Blanc for the best wine cheese combination there is! What’s it like? 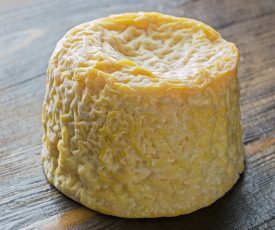 This is a young and fresh cheese with a gentle, comforting taste. Where’s it from? Made within certain regions of the departments of Cher, Indre and Loir-et-Cher. 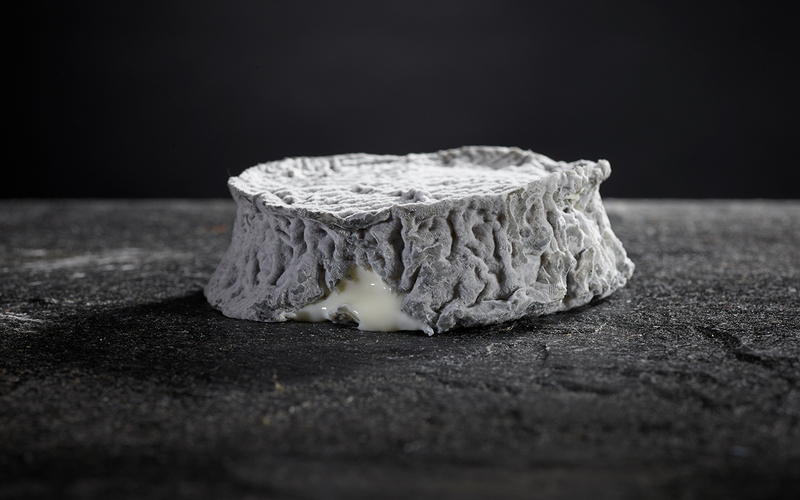 A beautiful unusual goat cheese that just has to be tried to be believed. 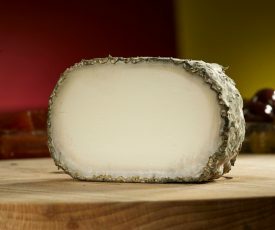 A strong aroma and soft creamy texture that drips from the knife. The best goats cheese on the planet.